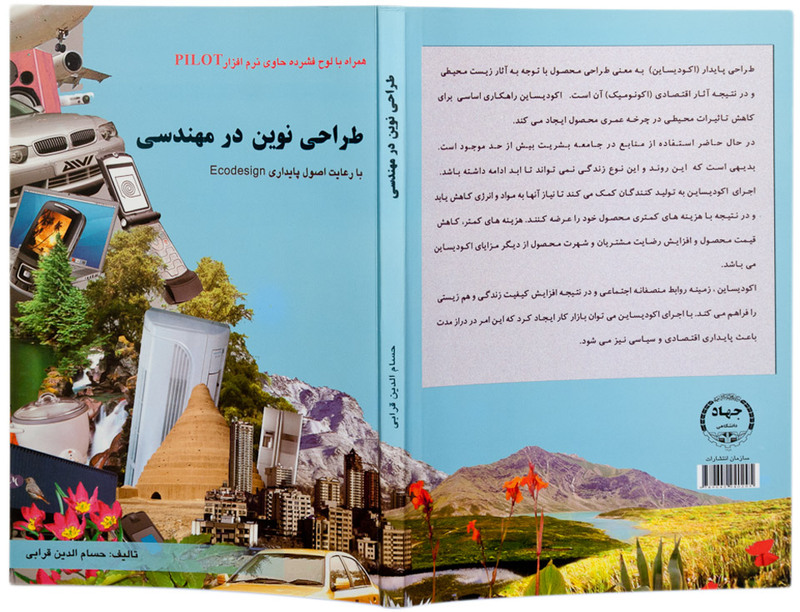 I was very happy to accept the invitation of designing a book-cover with the topic sustainable product development targeting young Iranian students – the first of it’s kind in Iran. Challenged to think the design “backwards” (from a western point of view speaking), I had to consider the opening of the book from back to front and the writting system from right to left. Believing that a ordinary and plain technical book design was just too serious I decided to make an eye-catching collage. 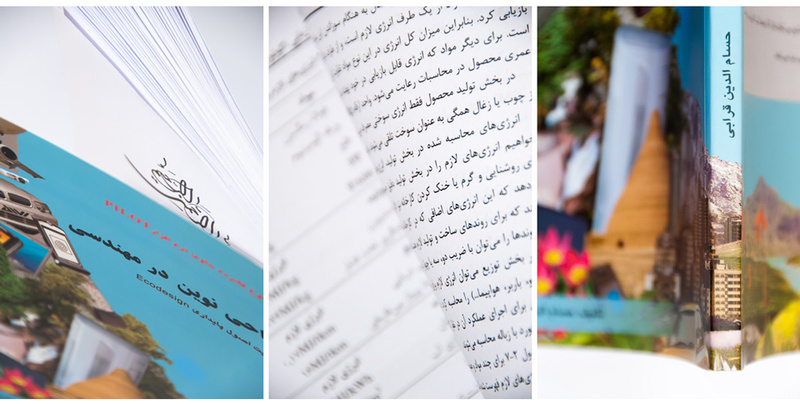 All items were carefully chosen to have a direct connection with Iranian culture. 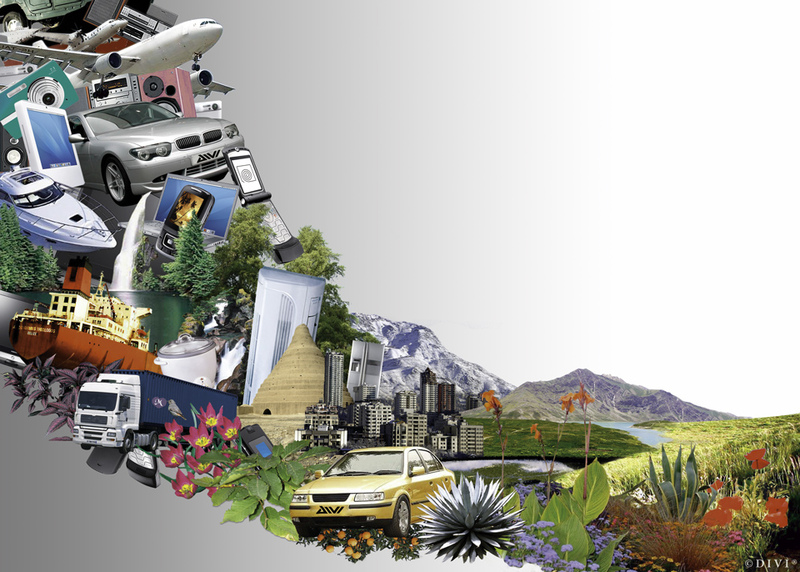 I chose pictures of indigenous plants, native landscapes, locally manufactured products, and status symbols of Iranian desires like a German car. The spine of the book marks the gradual transition from nature into consumerism. Initial design with white-to-grey gradient prior typeface setting. 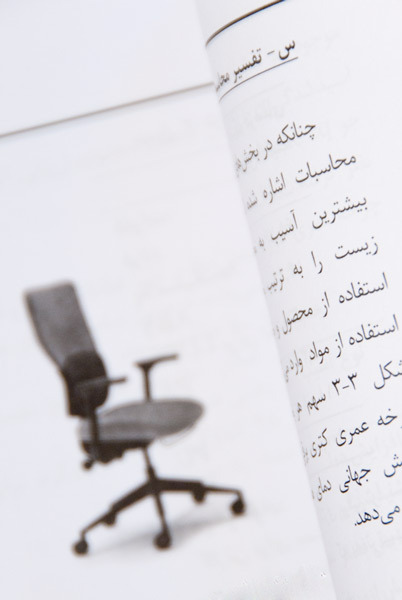 The book was published in Persian language only therefore the design principle had to be from the right to the left. For that reason the wave itself was also rising from the right to the left. Setting type face was executed by the publishing house. I was very proud to be part of that book project believing it to be a great starting point into responsible engineering, environmentalism and sustainability. I hope this book will bring more awareness into the subject of production and its impact on our surrounding. How long in average do you think a product fulfills our desires after we have bought it? To be produced, manufactured, assembled, sold, used and disposed many products of the modern world have to travel around the globe five times. 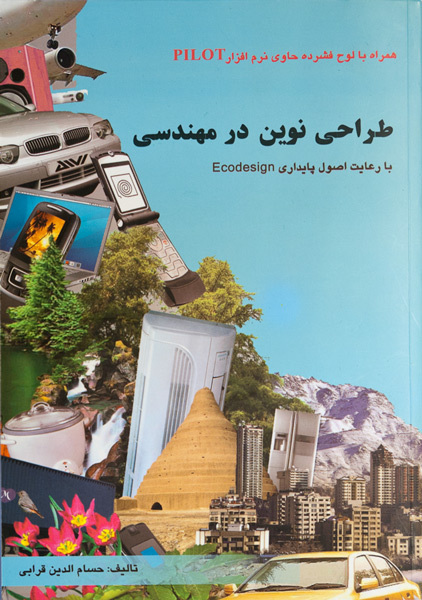 The “Wave of Consumption” illustrates how the Iranian landscape transforms gradualy into a pile of consumer goods. Beginning with indispensable products of daily use, than slowly moving into items of great luxury. The more the consumption increases the higher the wave raises up. But, is there any limit to its growth?